After a full day recovering from jet lag, I decided to visit one of the most photographed beaches near Sydney. 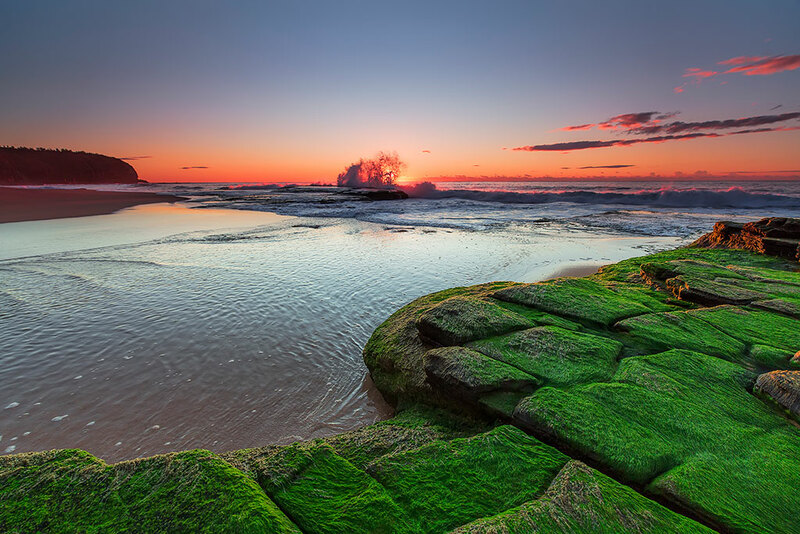 Of course it is famous because of the beautiful sunrises and the mossy rocks which makes it a spectacular seascape. I woke up very early in the morning and I was a little concern about driving on the left side of the road for first time, so finally I arrived to the beach where there was already there around twenty photographers. Yeap, for a moment I thought I would be alone in that remote place, but I was so wrong. It was really challenging to frame the landscape and keep them out of the scene, but at the end I came back home with some amazing pictures.